Signs - Very descriptive these fungal diseases - looks like the plant is going rusty. Orange-brown pustules develop initially on the undersides of leaves. These may be unnoticed for some time, so by the time the pustules appear on the upper leaf surface and are noticed, the disease has taken hold. 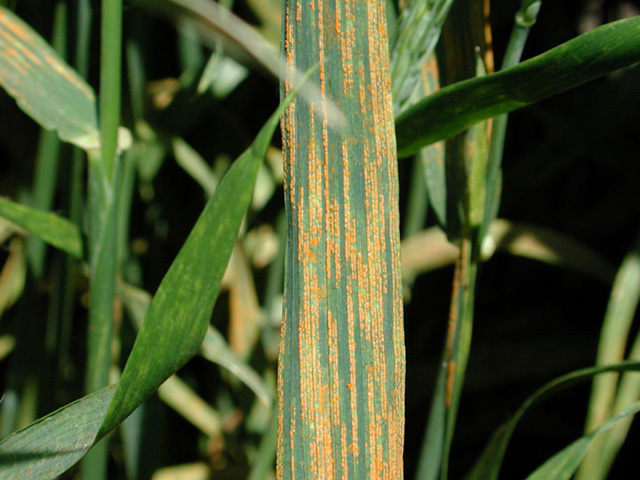 As with many fungal diseases that affect plant leaves, rust is not a particular disease but can be caused by any one of a whole group of different fungi. Different fungal species often have different host preferences and life cycles. 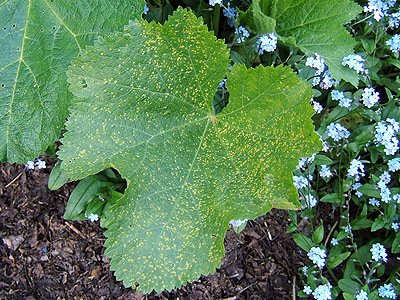 Damage - Not usually a direct killer, but very unsightly and will affect growth, flowering and fruiting, badly affected plants can be so weakened they are unable to withstand winter frosts. 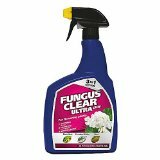 Treatment - A fungal disease so one of the best ways of dealing with it is by good hygiene. Remove all dead leaves in autumn to prevent the spores from over wintering, burn the leaves or take them to the skip rather than use them for compost or you may well just perpetuate the problem. Grow resistant varieties. Badly infected plants are best discarded - on the bonfire or tip, not the compost heap - and replaced. 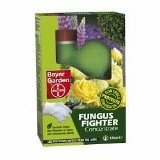 Improve ventilation for plants grown under cover. Keep plants watered and fed well so they are able to fend off the effects of rust with their own immune system. Hollyhocks will almost always get rust, you could deal with it by growing new plants each year, or as I do, by letting them self-seed, so selecting out the more resistant genes and then removing the worst affected leaves from the bottom of the stems and removing them from the garden. The leaves don't need to be removed until they are obviously on their way out. 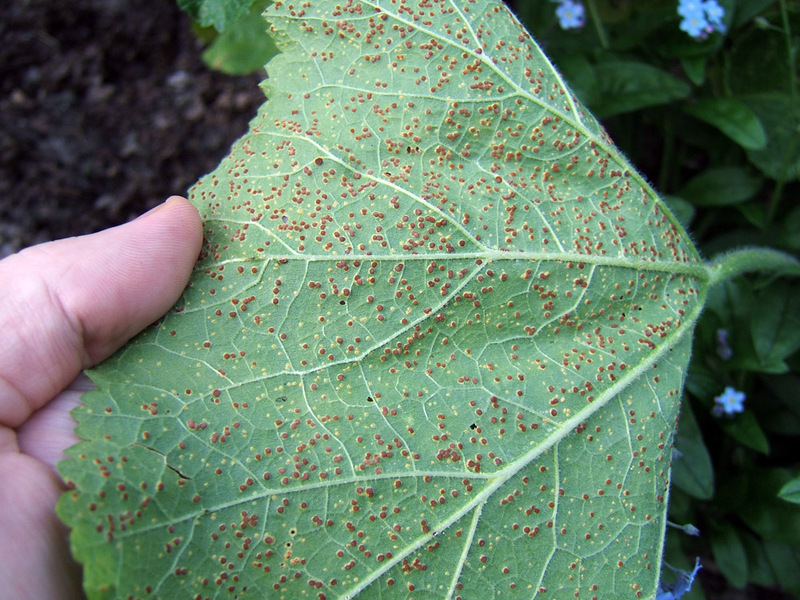 Middle and bottom pictures, top and underside of the same hollyhock leaf with rust, often what doesn't look so bad from the top is worse when the leaf is turned over. Horsetail (Equisetum arvense) is a pernicious weed which spreads by underground stems that go very deep and form horizontal rhizome systems. This makes it particularly difficult to control particularly on heavy soils where trying to pull it up just breaks off the stems leaving a piece in the soil to carry on. If you have a horsetail problem, there's a bright side to it because an infusion of the weed makes a good fungicide for control of mildew on strawberries and other crops, and checks rust on celery and celeriac. Collect the horsetail, foliage, stems, rhizomes and all, and for each 28g (1oz) pour on 1.1 Litres (2pt) hot, not boiling, water, and allow to stand for twenty-four hours. Strain off the 'tea' and use undiluted.